It's clear that cloud computing offers some significant benefits to organizations of all sizes. Researchers report that almost 90% of organizations have adopted the cloud in some way, which can be due to benefits that include increased security, improved agility, and cost-savings. However, nearly half (46%) of companies are avoiding increased cloud adoption due to a fear of integration challenges. If your organization is considering a shift to cloud-based voice services to save significant money on telephony costs, a fear of an effort-intensive, time-consuming transfer could be a barrier. Fortunately, for many organizations, moving voice to the cloud is much simpler than anticipated. In this blog post, you'll learn what your organization needs to do to ensure a successful move. Ensuring that your cabling is adequate to accommodate voice ensures quality. Evaluating physical facilities and active host IP is necessary for a fast, effective switch-over. To ensure day one readiness when implementing cloud-based voice over IP (VoIP), assessing your core network for physical readiness is important. Your prospective cloud services vendor may be willing to assist with part or all of your core network assessment. Most large and well-established businesses may find that they meet many of the readiness requirements with existing core network elements. What are Some Common Challenges of Moving Voice to the Cloud? Transferring Numbers: Phone number portability, or your ability to transfer numbers, can vary according to your incumbent telephone provider. Check with your existing phone service provider for additional insights on their processes and requirements for portability. Performing Inventory: With any technology implementation, documenting business requirements can present an unexpected time commitment. A successful transfer requires a comprehensive understanding of your businesses' telephony needs, existing equipment, and your current network infrastructure (for example... is there a phone in the kitchen, does someone have two phones in their office, do copiers/scanners use a modem and therefore a phone line). Staff Training: All employees who use telephone services will require training on new procedures, such as call transferring and checking voicemail. You will need to allot time and resources to train employees on in-office phone and mobile apps for a cloud implementation. If a movement to cloud-based voice services is in your businesses' future, there are certain actions you can take immediately to ensure the movement goes as smoothly as possible. Keeping an updated list of extensions and phone numbers is an important component of internal business requirement documentation. 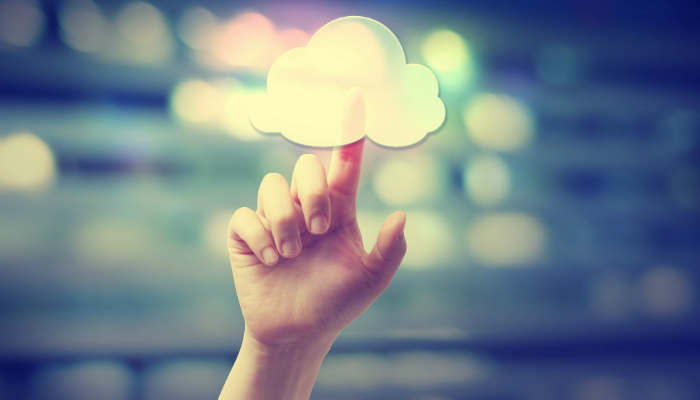 Providing this updated list to your new cloud services provider can assist with portability. On the day of implementation, your phone number will be transferred to your new provider. While requirements can vary slightly, you will need to sign a letter of authorization (LOA) to facilitate the porting of your numbers. Your new provider will ensure that your local area network (LAN) can accommodate the bandwidth requirements needed for appropriate quality of service. Purchase of new telephones may be required. Your provider may also recommend an upgrade in your network device or the purchase of an additional network device to ensure appropriate voice quality. When your infrastructure and equipment requirements are met, you will set up a new automated attendant menu. Automatic call distribution routines may need to be updated and revised. To ensure a smooth and pain-free transfer to cloud-based VoIP telephony, planning your transition carefully is critical. Never rush into a production deployment until you're confident that you've met all infrastructure requirements and that your vendor meets all business requirements. Before you go live, it's crucial to perform proof-of-call testing to ensure that all call flow and quality requirements support your business operations. 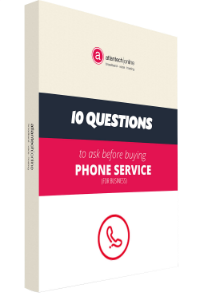 Atlantech has over ten years of experience providing pain-free cloud telephony transition services to businesses of all sizes. Our team includes knowledgeable project managers with well-defined processes for network and infrastructure assessment and business documentation. Atlantech also offers a custom voice infrastructure, allowing us to operate self-sufficiently with configuration and phone number assignment, which ensures minimal roadblocks to successful implementation. For more information on Atlantech's best-of-class custom VoIP services, contact us to speak with one of our expert consultants!